Over many decades the world has come to love and adore Walt Disney films, but it’s a rarity to see a film about Walt Disney himself, and it must be said it’s hard not to be taken in by the charm of it. Well the story isn’t quite about Walt Disney, it’s about P.L. Travers, the writer and author of the beloved Mary Poppins novels. 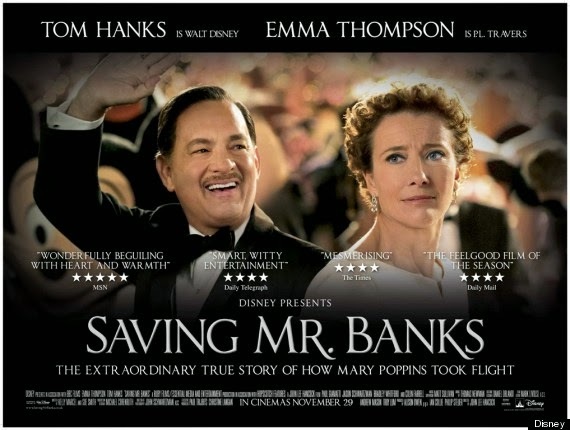 The film revolves around Travers and Disney has they set out to make the Mary Poppins film. In the film we learn that the only reason Travers even entertains the idea of turning her beloved narrative into a film was because she was cash strapped at that moment in her life. 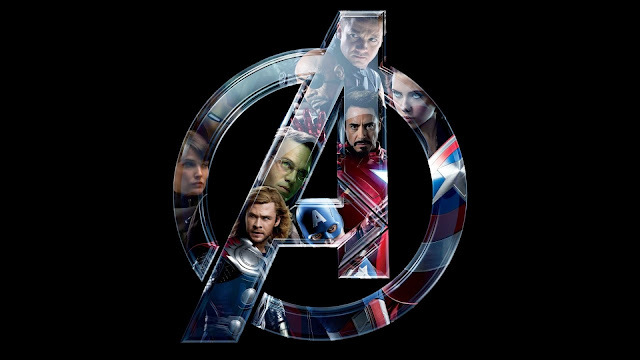 Walt Disney on the other hand, for the last 20 years had his entreaties rejected by Travers to make the film. As it turns out, he really wanted to make the film for his daughters who loved the book dearly. The real interesting thing about this film is that its two different tales condensed into one. On the one hand we have a story about the difficulties Disney had to endure thanks to Travers when trying to adapt Mary Poppins into a film, and on the other hand, we have a story set in Australia with a young P.L. Travers as we learn more about her upbringing and why she was so protective of her books. As it turns out, Mary Poppins wasn’t a complete fictional creation but the books were really autobiographical in nature as they were recreations of painful memories reimagined as stories of magic and joy. As such these two different narratives serve the film with two completely contrasting tones. Her young childhood is filled with drama, despair and tragedy of a sad life. The story pertaining to Mary Poppins and Disney has a lot more comedy, cheerfulness and levity. These mixtures of these two narratives are interspersed throughout the film, creating a rich feeling of emotion, endearment and sentiment. Playing the incorrigible fabulist P.L. 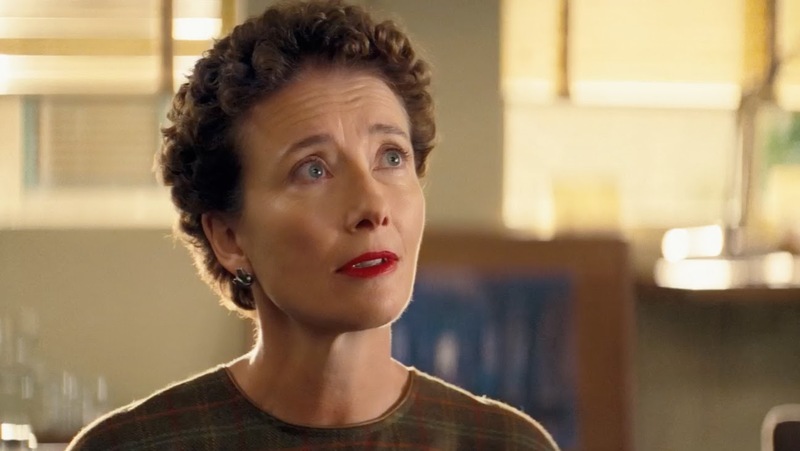 Travers, Emma Thompson, brings such a natural high-minded, obstructionist, charismatic performance as was needed to portray this character. Thompson performance is certainly memorable and acclaiming. 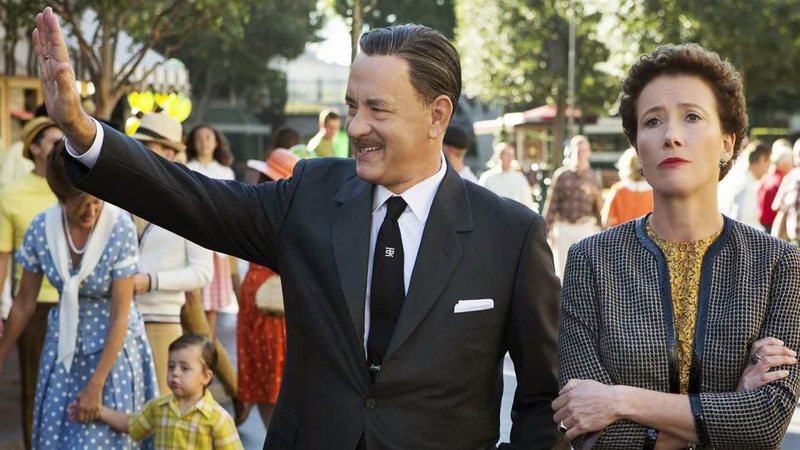 Tom Hanks brings the Walt Disney to life with his natural charm and swagger, giving us a version of the man that would meet and exceed any all ideas of him that you would have. 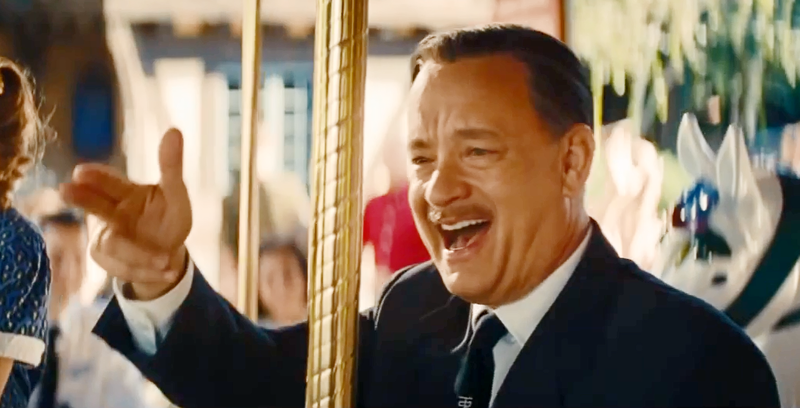 Saving Mr Banks is an all round fastidious biographical film about two big moments in P.L. Travers life. It’s a film with an endearing melancholic charm and beautifully sentimental, audiences will be in for a old fashioned story telling film that was wonderful crafted.